If Industries, whose extremely sparse Etsy store describes the brand as making “handmade accouterments for geeks, by geeks,” more recently has specialized in teasing geeks, by geeks. 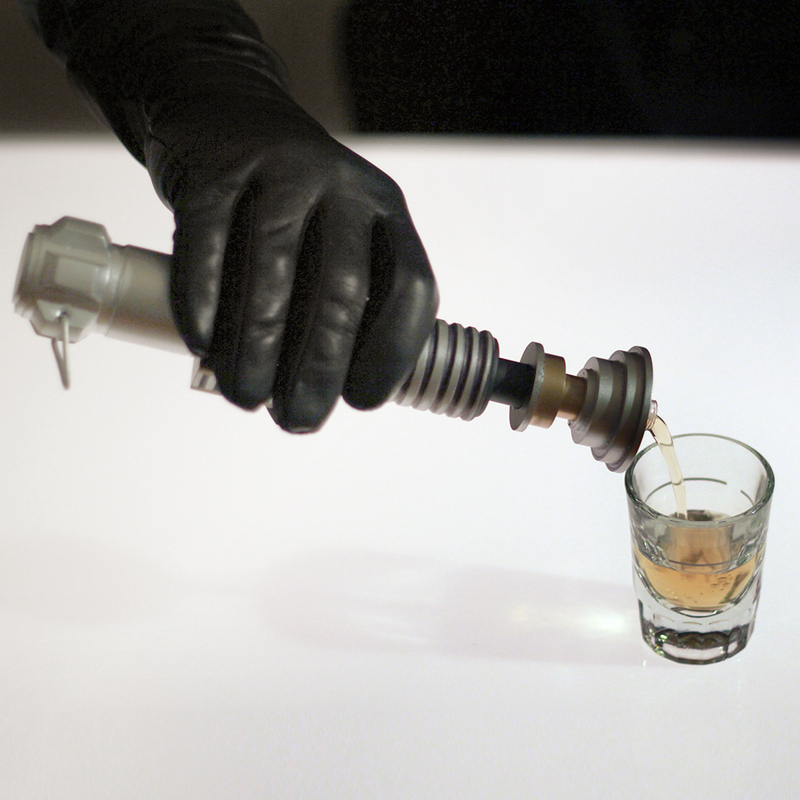 Last month, they took the Internet by storm showing off some specs for a Han Solo blaster flask. Now, they’re back at it again, just in time for The Force Awakens premiere, with a lightsaber flask modeled after Luke Skywalker’s weapon from Return of the Jedi that’s even harder to get than tickets for one of last night’s showings -- because, small problem, neither of these items actually exists for sale. And most likely, neither of them ever will – even in a galaxy far, far away. In an update to their blaster flask post, IF Industries wrote that even though they “are working hard to find a way to bring this to life … currently we don't have licensing to sell.” Though Disney has seemingly given approval to every product from here to Tataouine that’s willing to pay a licensing fee – anything from coffee creamer to soups to fresh fruit – I’d consider it doubtful that the family company is going to allow one of their most iconic toys to be turned into a container for alcohol. That means you’ll just have to make your own light saber flask. If IF can pull it off with a little effort, why couldn’t you make something similar yourself? May the DIY force be with you.